The Collected Interior: 1,000 Followers & a Sodderbug Giveaway! 1,000 Followers & a Sodderbug Giveaway! Update: This Giveaway is now CLOSED...a winner has already been chosen. Thanks! Now I know that you know Sodderbug. But if by chance you don't...let me fill you in! 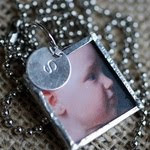 Sodderbug Charm Necklaces are custom made with your favorite pictures. Janelle cuts the glass to size, puts your pictures between the glass and then solder's all around the glass making one of a kind charms you'll treasure forever! And the best part about Sodderbug Charm Necklaces, besides how stinkin' cute they are? These adorable necklaces are just $29.99 and include a 24 inch ball chain...that's a fabulous price, love that! Just e-mail Janelle your unedited, uncropped pictures at high resolution and you are good to go...it's that easy! 1. 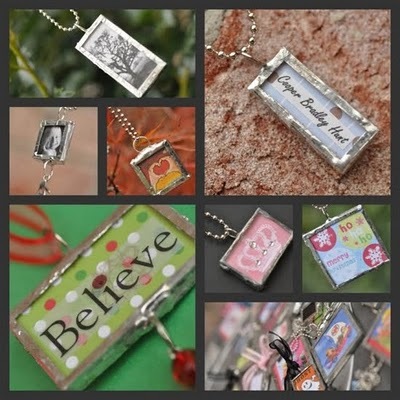 Leave a comment here telling me which photo you'd like to use for your custom charm necklace. 2. If your new here, follow Finding Fabulous. And leave a comment. Or if your already a follower...leave a comment. Okay, don't be shy...enter NOW!! The winner will be announced one week from today...Tuesday, June 8th at 12:00 noon. Thanks again for following Finding Fabuous...Good Luck! Wow, am I really first? Since I have a necklace with a photo of my 1st DD, I'd love one with my 6 month old as well. She's absolutely adorable so I don't know how I would decide, but since we have a ton of pics, I'm sure I would be able to find one! New to the site and I have been enjoying your content. Thanks for your work. I would love a photo of my family too. I would have our most recent family photo done. I am, of course, a follower! I'm a follower! Cute necklaces! I am a follower of FF and have been for quite a while! Love your blog! 1. I'd definitely use a photo of my two girls. :) Great giveaway! I would love to use some new photos I just took of my 2 little ones! I'm already a follower. I would use pictures of the two boys in my life. One of my husband and one of my cat!! Id use a photo of my two girls! I just became a follower and I love this blog! I would use a pic of my little boy! I would choose a picture of my two boys! Thanks for the giveaway! I'd use the picture from my blog header of my two kiddos. Thanks for the chance! No contest. I'd use a photo of my first grand child - a GIRL - due in July. Id love one with a picture of my kids and hubby. How cute! I'd love one with a pic of my kids from Easter. definitely a pic of my hubby and daughter would be my choice! Thanks for the chance! oh gosh, I don't know what picture. Maybe one of my friend's little one for a gift. I think I want to use a photo of my blog button. My blog button is a photo of a painting of my grandmother. I would like that. I already am a follower, by the way. Congratulations on reaching 1,000 (now, more) followers, Jane! The first image that flashed in my mind for a keepsake is one of my precious granddaughter. I smile every time I see it. Hope to see you this week at the cottage for my three new linky parties...starting up this first week of June. The first one went up tonight. I would absolutely have to put a pic of my little chicks! My children are my world and how much better could it be to also have them close to my heart! It would have to be a photo of my darling granddaughter!!! I would get a close up of my grandson who lives across the amber waves of grain and the majestic purple mountains, all the way in South Carolina while his poor baba is stuck in California. It would be wonderful to carry along his photo with me like that, and lets me brag on him even more than I do now!! oh yes, I do follow your Fabulous blog!! I would love one with my grandchildren. That would be so cool! A photo of my kids would be perfect! I would love a recent photo of my kids on a pendant. Thanks for the chance to win. I follow you and love you! these are so cute! 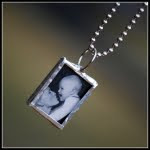 I have 9 kids and that would have to be a pretty small pic or pretty big necklace! I have some really cute pics of my youngest, so I'd probably use one of those! oh, and i'm a follower. this site is fab! I have a picture of me with my kiddos that I would love to have made into a charm!! Congrats on your 1000 follower mark. What a great milestone. I just found your blog and LOVE it!! I would put a picture of my baby girl! Ooh my, Great giveaway! I would use a photo of my granddaughter. Of course I am a fan and a follower! So glad I found your blog! I'm now a follower!!! Hmm, if I had to choose a photo, it would be one of my daughter! Or dh and I at Disney World!LOL Boy, that's a hard choice!! Thanks for the chance to win!!! These are beautiful. I would use a picture of my daughter. I'd use an adorable pic of me and my husband...I love him! I would definitely put a picture of my swwet boy in the charm!!! Uh-oh....am I too late for the party?! I LOVE the soldered charms and am having a difficult time choosing what I might put in there! Thanx for the awesome giveaway and I'm so excited to peruse your blog! I am a follower now too! Stop by my blog for a fun giveaway! I'd use a recent family photo of all of us crowded on the couch.